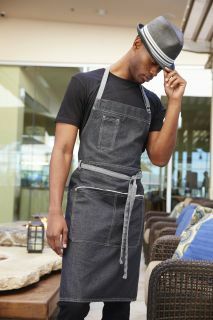 Chef Works front of house aprons are made to endure the challenges of the job and still look great. 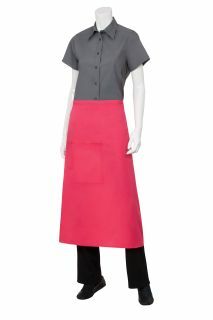 These front of house aprons come in a variety of flattering styles and a multitude of rich colors and vibrant patterns to complement any dÃ©cor. 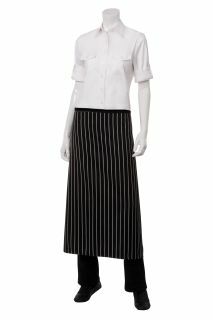 These front of house aprons are made from a sturdy polyester and cotton blend equipped with a soil release finish, so you can start each and every shift with a clean, crisp apron. 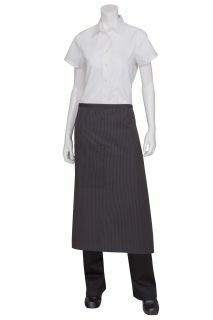 Chef Works offers several specialty aprons, including the chalk stripe bib apron, English chef apron, white chevron apron, and white pointed apron. 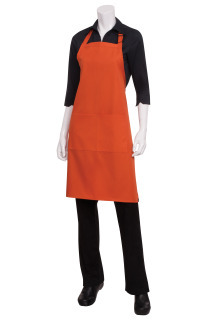 These classic aprons are made from a durable, washable polyester and cotton blend that will help create a neat and tidy look. 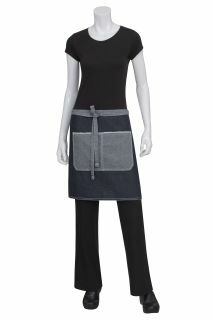 These specialty aprons are perfect for restaurant, food service, and housekeeping.